After the defeat of their common enemy, the rivalry between the KMT and the CCP was further intensified. 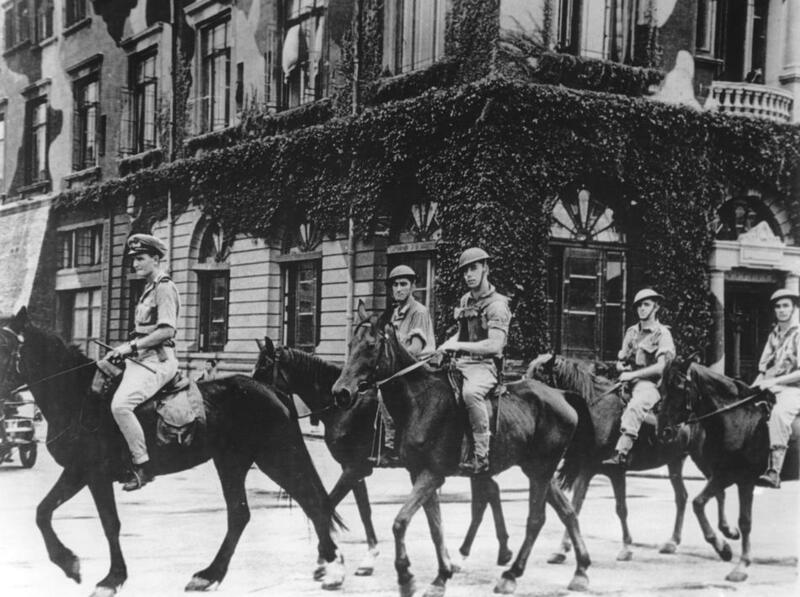 On 10 August 1945, the CCP’s central committee ordered a large-scale counterattack, aiming at the main cities and transportation arteries after Japan’s surrender. 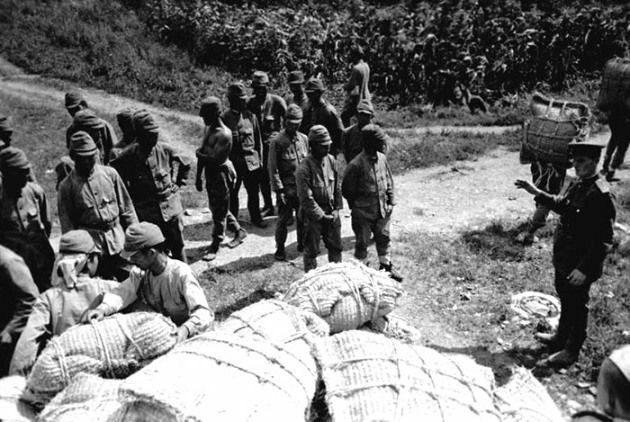 In response, Chiang Kai-shek, apart from requesting that the Communists refrain from independent actions, ordered the surrendered Japanese armies to maintain order and secure military supplies in the occupied areas until KMT forces could assume full control. The KMT’s authority to assume such control was underlined in General Order No. 1. A third step in the game of chess between the CCP and KMT was an attempt to institutionalize principles and power arrangements between the two. 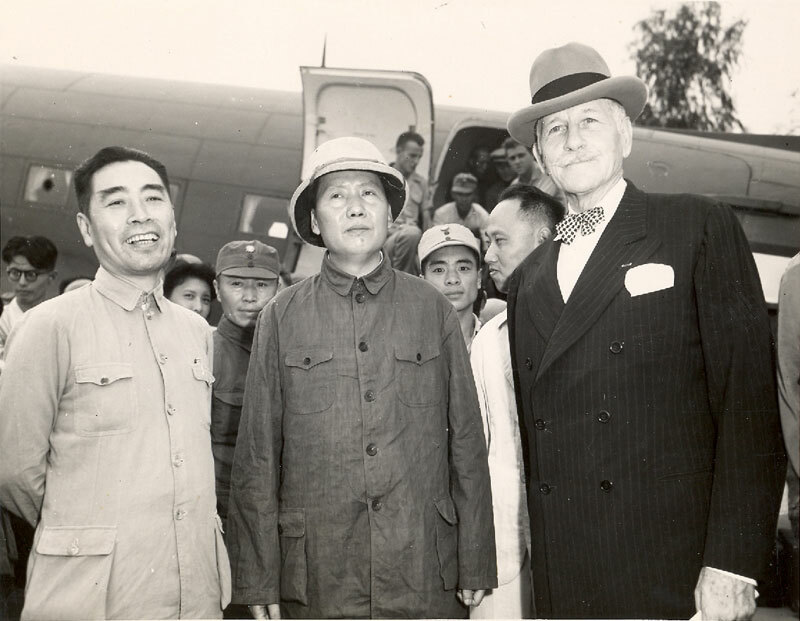 Urged by Stalin, Mao Tse-tung, in the company of Chou En-lai, Wang Jo-fei, and Patrick J. Hurley, the U.S. ambassador to China, flew to the wartime capital Chungking on August 28 for six weeks of peace negotiations. 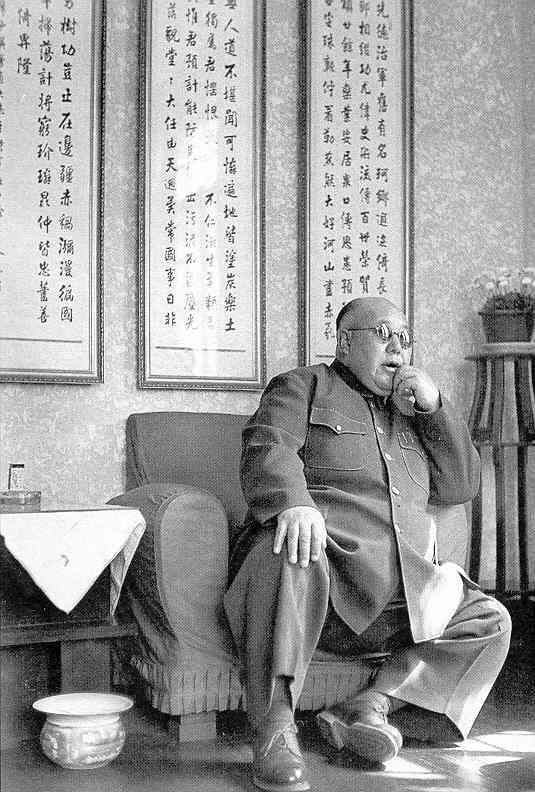 Chiang and Mao met eleven times and worked out issues of principle and broad outlines of an agreement, while teams led by Wang Shih-chieh and Chou En-lai focused on the details. Three key issues dominated the discussions: government structure (the CCP was interested in developing a coalition government), the scale of each party’s armed forces, and who would control which ‘liberated areas’. The CCP side made certain concessions, which also served their own interests, including a reduction of its military to between 20 and 24 divisions and an agreement to withdraw troops from several lightly-occupied southern provinces for better concentration on the Northeast. However, none of the major divergences was resolved with proper consensus. 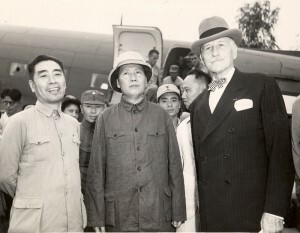 Chiang steadfastly insisted that military command and government administration must be unified, thus refusing to recognize the CCP-led governments in the ‘liberated areas’. Mao, who had observed 18 years earlier that ‘political power grows out of the barrel of a gun’, resisted not only the idea of government-military unity but also of Communist armies being completely incorporated into the Nationalist array. A twelve-clause communiqué was finally issued on October 10, in which the two parties pledged to accept the principle of peaceful national reconstruction, to resolve any disputes via negotiation, and to ensure the legal and equal rights of different political parties. The CCP recognized the legitimacy of the Nationalist governance over China and abandoned its demand for a coalition government. The two sides also agreed to convene a political-consultative conference and end the phase of Political Tutelage as soon as possible. Despite this document, the negotiations achieved nothing substantial but shifting the unresolved problems to another conference. Tacit races and clashes for seizing territories, arms and equipment continued throughout the negotiations. On September 19, the CCP’s central committee released a strategic vision of ‘developing into the north and defending against the south’, that is, deterring the southern Nationalist forces from northward advance and thus alone taking control of Jehol, Chahar and Manchuria. The Soviet army facilitated the CCP by preventing the KMT’s entry into these areas and even turned over to the Communists a considerable amount of armaments seized from the Japanese. The Nationalist side took countermeasures. Chiang ordered distribution of The Manual for Suppression of the Bandits, which included principles and tactics for defeating CCP forces. 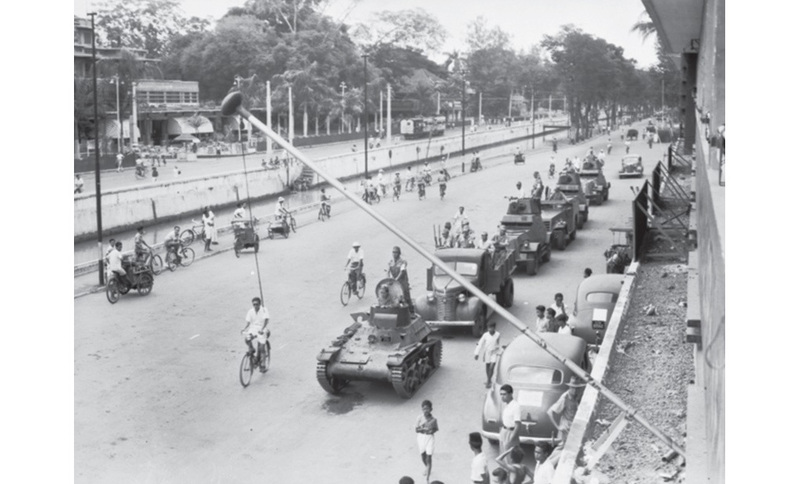 Also, with the help of American airplanes and vessels, troops were transferred quickly to the North and Northeast. China, again, was on the edge of a split. Disappointed by the reality of his ineffective efforts, Hurley announced his resignation on November 27, accusing State Department officials of favouring the Communists behind his back, as for example when they said that the Nationalists may not use US-provided weapons in the civil war against the communists. President Truman then sent his special envoy, General George Marshall, to continue US mediation in China. The CCP and KMT signed a truce under domestic and international pressures in January 1946 and convened a political-consultative conference, but these helped little to melt the hostilities. The consequent second KMT-CCP civil war concluded with the crushing defeat of the KMT and its major retreat to Taiwan in 1949, the year Mao announced the establishment of the People’s Republic of China in Peking. Although the Sino-Soviet friendship treaty proscribed cooperation between the Soviet Union and Chinese communists, the Soviet retreat left open territory that Mao's forces quickly filled. 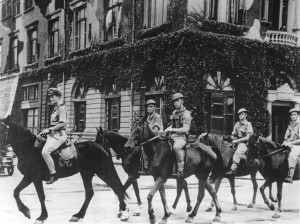 This undated photo shows Chinese communist soldiers heading toward Manchuria. 1. There were existing agreements that Mao initiated between the CCP, KMT, and the US regarding areas of operation well before August 1945. These stipulated very clearly the coordination all parties were to provide the other. 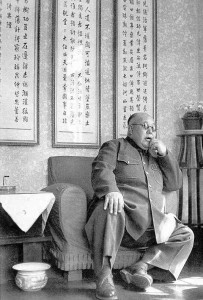 By Mao’s actions, he essentially was in violation of the operational agreements between all parties once he knew he had no resistance. 2. Operation CARBONADO and RASHNESS by the US / KMT was already moving forward since February as the Japanese were retreating to the North under their operation KETSU. Mao’s moving into operational areas only confused the operation and added nothing to the liberation of China from the Japanese. 3. The actual pre-planning from Mao for operations occured in April 1945 when he learned the Soviet Union was going to invade. He provided initial orders to his commanders to take advantage of the vacuum of power the Soviet Army would create, link up with them, and expand the CCP operational base. Again AGAINST AGREEMENT with the KMT/US. 4. The Soviet Union invaded Manchuria without notifying the KMT and obtaining agreements, on midnight 9/10 August. The moves by the CCP were not in isolation, or even agaisnt any real opposition. The Soviet troops were encountering the re-deployed Japanese formation from operation KETSU, and the CCP was merely moving into empty areas. 5. CCP formations fired on US Naval and Army forces attempting to land and obtain the surrender of Japanese forces, thus technically firing the first shots of the cold war. (The most notable was shooting at the launch of US Admiral Daniel Barbey coming ashore to accept the Japanese surrender). 6. It is true that the CCP recieved massive aid from the Soviet Union of both their own and captured Japanese equipment and technicians. The CCP formations that went into Manchuria were aproximately 60,000. After accepting transfer from the Soviets it’s ranks ended up at around 300,000. Stalin kept the Soviet Army in China longer than the agreed upon 3 months and trained and equiped the CCP during that extended time. 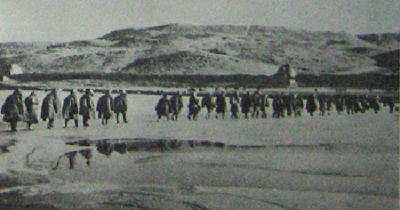 The Soviets continued to advance on Japanese positions that had already surrendered on 16 August for another several weeks. 7. The US commitment to prohibit the KMT from engaging the CCP during this time, and the reluctance to pressure the Soviets to observe the Yalta agreement terms as well as recognize the Japanese surrender on 16 August resulted in the Soviets securing a very large base of operations for Mao, which he was to use in building up over the next year and re-ignite the fighting that had already torn the nation apart and created an unprecidented level of human misery. The first few days after the end of WWII indeed set the stage for more suffering in China, for them the war didn’t end.